Looking for some Friday evening, #pdxbeergeeks fun? Need a break from the PDX #craftbeer scene? Well, look no further, your answer is here! This Friday, October 7th, Mt. 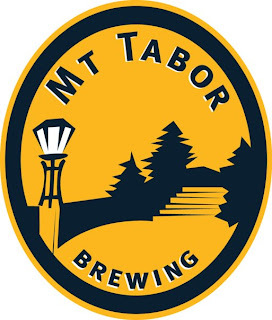 Tabor Brewing will be hosting its Official Grand re-Opening at its brand new headquarters in Vancouver, WA – yep, our friendly sister city to the north! The event kicks off at 4pm with Portland/Vancouver-based (yet nationally known) Element57 serving up tunes at 8pm. Brewmaster Eric Surface will be on hand serving up two of his hand crafted beers until 10pm. Brews on deck include the Asylum Ave IPA, and the P5 Pale Ale. With a passion for beer & sustainability (striving to keep the smallest carbon footprint possible) and a focus on friends & neighbors, Mt. Tabor Brewing specializes in custom, small batch brewing for local businesses, events and consumers. Eric has been hard at work ensuring that his dream becomes reality... let's give a warm #pdxbeergeeks welcome to both Eric & Mt. Tabor Brewing! Hope to see all #pdxbeergeeks on Friday!!! Special thanks to Erik Knollenberg for this guest post! You can follow @epeep on the Twitters for more craft beer adventures!